My story with pancreatitis started at the age of 12-years-old. 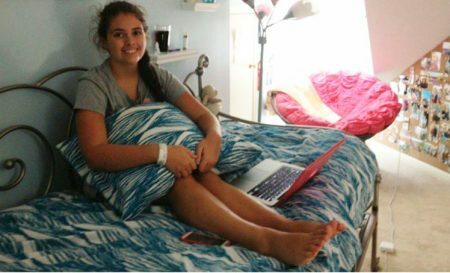 Just a few weeks before I was supposed to start middle school I suddenly woke up with excruciating abdominal pain. My body ached and I kept throwing up, I couldn’t eat, drink, or sit down and I spent all day and most of the night pacing around my house. In the beginning, doctors suspected I had a stomach bug and after about a week all of the symptoms went away and I returned to normal life. I didn’t think much of it until a year later when exactly the same thing happened again! Anyone who has felt the pain of pancreatitis can tell you – there is no comparing it to anything else. My pediatrician started looking into other possibilities, and the next time I showed symptoms, we ran some blood work that showed elevated lipase levels. At that point, I was already at the end of a bout, so the plan became to keep a close eye on me for the next sign of pain, where we would then get me to a hospital right away to get more bloodwork. During this point in my life, I was only getting sick about once a year, and was a sophomore in high school before the next pancreatitis attack came on. I immediately went to the hospital, my lipase levels were very high and I was admitted right away. That first hospitalization in January 2014, I spent 5 nights in the hospital. My symptom pattern was always the same- I would wake up in horrible pain and it would not improve for days, then suddenly one morning I would wake up feeling decent and have an appetite and it would be over. After the first hospitalization, I started seeing lots of doctors including pancreatic specialists, my official diagnosis became Idiopathic Recurrent Acute Pancreatitis, in simple terms it meant I got pancreatitis in isolated periods (acute attacks), over and over (recurrent), and we had absolutely no idea why (idiopathic). During the first couple of years, I had genetic testing done which showed I have a SPINK1 mutation, which made me more prone to pancreatitis. To this day we really don’t know exactly the extent to which that mutation affected me, but given that we have ruled out almost every other cause, it seems likely the genetic mutation was a significant factor in why I got sick. Over the next 4 years I suffered from bouts of pancreatitis resulting in many hospitalizations in multiple hospitals in both Connecticut and Boston. There will always be one stay that stands out in my mind when I look back over all that has happened in the course of my illness. When I was 15, I believe it was my second hospitalization, I became extremely anxious. My doctors prescribed me an anti-anxiety to help calm me down, as I was beginning to have a panic attack. Little did any of us know that the combination of anti-anxiety and pain medication would react poorly in my body. I don’t remember any of this myself, but it is definitely etched into my parent’s brains, shortly after being given the anti-anxiety I turned blue and became unresponsive. My parents noticed and yelled for help. I had stopped breathing, luckily the crash team came in and was able to reverse the effects of the drug pretty quickly, and I was breathing again shortly after. Doctors spent years trying to manage my symptoms. We tried changes to my diet, getting more rest, staying extra hydrated, taking precautions when I got onto airplanes, going on an anti-anxiety and getting multiple pancreatic stents – nothing worked. In fact, my condition worsened! My freshmen year at Boston College was when things really escalated. My yearly hospitalizations had become 2-3 a year and my diagnosis transitioned from acute pancreatitis to chronic. I missed significant class time and spent entire semesters struggling to make up work and to keep up with my peers while also suffering from and recovering from brutal hospitalizations lasting +/- 10 days. I was weak, tired, sore, and really losing hope. My sophomore year of college is where things really went south. I moved into my housing in August of 2017. 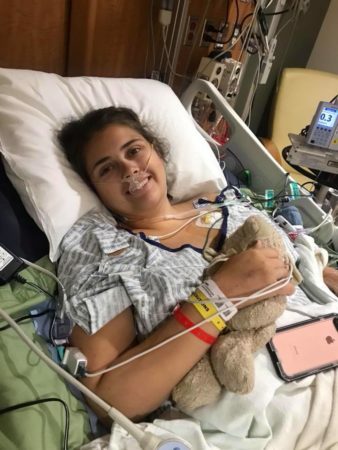 On October 13th I made my first visit to the ER, unaware that it was the beginning of back-to-back pancreatitis attacks that left me living in a hospital for the majority of time between October 2017 and February 2018. I left school, finishing the fall semester partially from a hospital bed 3 months later than my classmates. I lost a significant amount of weight, was malnourished, and began losing my hair. By early spring of 2018 I was really unsure about what the rest of my life would be like. That was until March, when my pancreatic specialist recommended I consider getting a Total Pancreatectomy and Islet Auto Transplant (TPIAT). In a nutshell, TPIAT consists of the removal of the pancreas, spleen, duodenum, and gallbladder along with the transplant of the insulin-making cells from the pancreas into the liver so that the body can still produce some of its own insulin. Everything from that point on moved pretty fast. I had almost no quality of life and was more than willing to explore the possibility of the operation. I met with the amazing TPIAT team at the University of Minnesota, was approved for surgery, and on April 30, 2018 underwent my TPIAT surgery. At the University of Minnesota, ICU shortly after waking up post-TPIAT. Cecilia had her pancreas, spleen, duodenum, gallbladder, and appendix removed. My Mom and I packed up and drove to Minnesota, where we stayed for 7 weeks through my surgery and recovery. My mom, a 6th grade teacher, served as my primary caretaker the whole time I was there. If you didn’t know otherwise, you probably would have thought she was a nurse! She handled my feeding tube, medication injections, blood sugar checks, you name it! 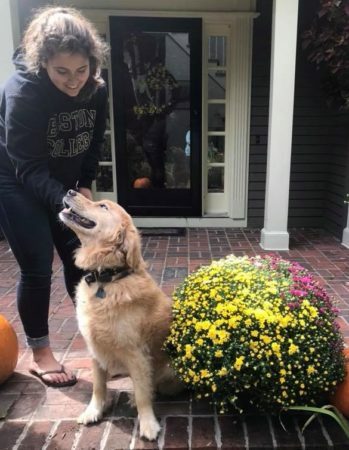 I was very fortunate that my dad and brother were able to come and visit while we were there, though I missed them both (and my dog Finn) terribly the whole time I was away. The entire ordeal of being so far away was made a little easier by the incredible support that came from my community. Every single day I was in Minnesota our mailbox was full of cards from friends and family back home, it really made every day a little better. Thanks to the amazing work of all of the doctors on my TPIAT team and the support of my family, I recovered amazingly well and day to day live a pretty normal life! I am in no pain, and while managing the form of Type 3c diabetes I have now is a daily responsibility, it is so much better than even a minute of pancreatitis. Smiles during 6.2 miles! 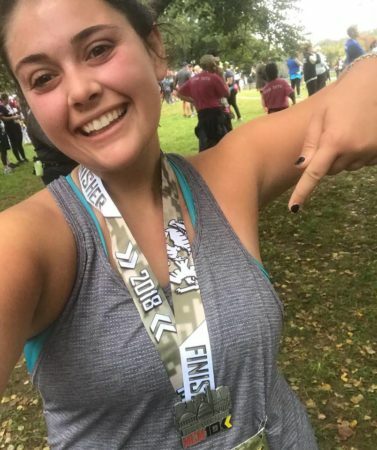 Cecilia at the Marine Corps 10K in Washington, DC, six months post TPIAT! A day in my life right now consists of constant monitoring of my blood sugar, which is made so easy by the continuous glucose monitor I wear (it sends an alert to my phone is my blood sugar is too high or low). When I wake up I give myself an injection of a long-acting insulin and then every time I eat I give a dose of short-acting insulin, the amount varies depending on the carbs in my food. I also have to take pancreatic enzymes with all of my food, as I no longer produce the enzymes that break down fat. I am so incredibly lucky to finally be able to say that I am on the other side of pancreatic disease. So much of my, and my families lives, up to this point have been completely ruled by the unpredictability of pancreatitis, a burden we are now all free from! In my time off from school I was lucky enough to become involved with the National Pancreas Foundation (NPF) as their intern, I even ran the 2018 Marine Corps 10k with them in Washington, DC in October to celebrate 6 months of life without a pancreas! The work the NPF does to raise awareness and end stigma for juvenile pancreatitis is so important. 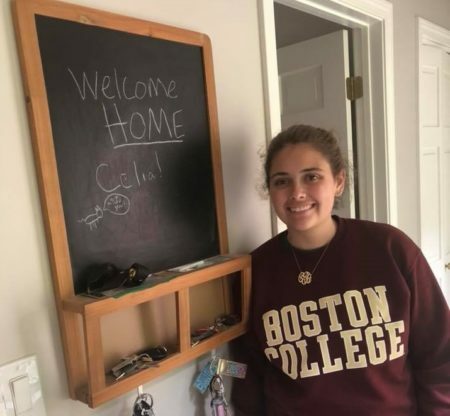 I am excited beyond words to say that I will FINALLY be returning to Boston College as a full-time student in January 2019 and I cannot wait to see what my future has in store now that I am finally healthy!